The 3 - 1 victory at Molineux last weekend has kept City in the play off hunt with 6th place just 5 points away from the 9th placed Bluebirds. Today Cardiff welcome Rotherham, a team only outside the drop zone on goal difference, to CCS. Lex Immers will be in contention to feature for Cardiff in Saturday's Sky Bet Championship clash with Rotherham after completing his loan signing from Feyenoord. The 29-year-old forward sealed his switch, until the end of the season, late on Thursday afternoon and will be available this weekend subject to international clearance. Defender Sean Morrison remains sidelined with a knee injury, while striker Idriss Saadi is still out after tearing his hamstring on debut in November. Midfielder Aron Gunnarsson is expected to return to Russell Slade's squad, though, after missing last weekend's 3-1 win at Wolves due to illness, and centre-back Matt Connolly, who earlier this week signed a new contract which will keep him at the club until summer 2019, should maintain his record of having appeared in all of the Bluebirds' league games this season. Rotherham's new signing Luciano Becchio will be on the bench. The Argentinian has joined the Millers on a deal until the end of the season but, having not played since September 2014, is still some way from being match fit. Lee Frecklington (hamstring) is back in training but will not feature in South Wales while Farrend Rawson should be in contention after his hamstring injury has cleared up. Right-back Lewis Buxton is another addition to the Millers squad as he has resolved a contract dispute which kept him out of the last five games. The reverse fixture saw Cardiff lose 2-1 in dramatic style when goalkeeper David Marshall was sent off, they conceded from the penalty spot and also conceded a 90th-minute own goal. Rotherham have won only one of their last nine away trips to Cardiff in league competition (D3 L5). Joe Mason has netted three goals in two league appearances versus Rotherham. Tony Watt has attempted more dribbles than any other player in the Championship (124). The Millers have lost seven of their last eight away trips in the Championship, the exception being a 1-0 win over Leeds. Cardiff are unbeaten in nine at home in the Championship (W5 D4). 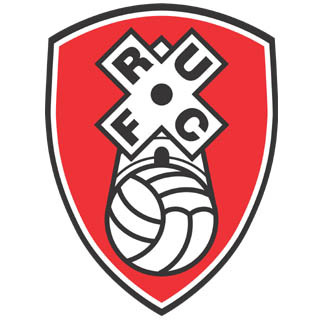 No team has used more players than Rotherham this season (32, level with Charlton).